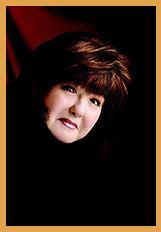 Our spotlight author for the month of July is the international bestseller, Karen Rose. I found the following information on her web page at www.karenrosebooks.com and you can check it out and find even more information about this fabulous author there. Check out ALL of her fabulous books! I just love this author! And if you want to meet her in person, be sure to sign up for #CMCon2018 Coastal Magic Convention in February, 2018 in Daytona Beach, Florida. I can't wait!! I was given my first horror story to read by my dad, who, impatient at my childish choices of Trixie Belden, Nancy Drew and repeated readings of LITTLE WOMEN, urged me to read "real literature." He handed me a book of short stories. I'm quite certain he never read them because the first story was “The Pit and the Pendulum” by Edgar Allen Poe and (a)I was only eight, (b) my dad was really a nice person. He didn't know I would literally lose sleep after I read it. It scared me to death. I'm not generally superstitious, but I've never boarded an airplane without a romance novel since surviving a scary crash landing while reading Jude Deveraux . It kept me calm. I've traveled the world, once filling a passport and a half in three years. My favorite foreign city is London, although Rome is right up there. I once ate a live fish in Japan so as not to dishonor my hosts and was then called Karen-san. Sushi is now on my "ick" list. I spent my seventeenth birthday in a Guatemalan prison as a guest and only stayed a few hours, but hearing those big doors bang shut is a sound I'll never forget. I have two patents for making Metamucil taste better. I'm far from fluent, but am capable in American Sign Language and often interpret for my deaf child.